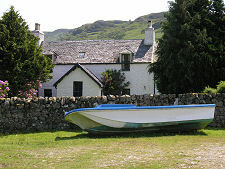 The phrase "off the beaten track" has a very literal meaning in some of the more remote parts of Scotland. Roads that see very little traffic can be identified by occasional tufts of grass sprouting out of the tarmac between the paths taken by vehicle wheels. The more grass you see, the less the level of traffic using the road. Sometimes, very rarely, traffic levels are so low that tufts of vegetation can become established as a continuous stripe up the middle of the road, and the more normal grass is supplemented by flowers and other plants, or, more unusually (in densely shadowed areas) by a layer of moss. 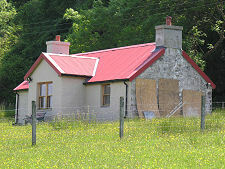 Anyone wanting to see this for themselves could do far worse than drive along the road to Croggan. The fact that few people have heard of it is why the road to it is so little used. 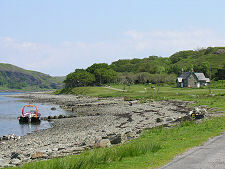 Croggan lies in the little visited far south east of Mull, at one end of the large chunk of land almost turned into a separate island by the incursions of Loch Buie and Loch Spelve. The way into this remote area is via a minor road that turns off the A849 at Strathcoil, near the northernmost tip of Loch Spelve. From here the road heads over the shoulder of Cruach Ardura before descending to run alongside Loch Spelve to its western end at Kinlochspelve. 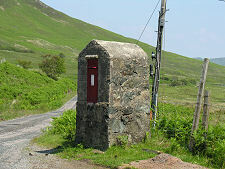 Here, next to a massive stone post box, is a road junction. Carry straight on, and you end up in Lochbuie. 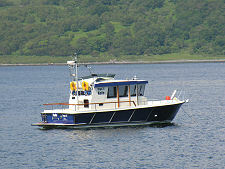 Turn left and you find yourself on the four mile stretch of road that ends at Croggan. 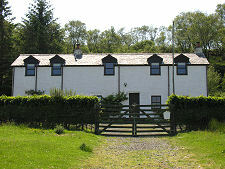 As you round the end of Loch Spelve, you pass the drive leading up to the small collection of houses that comprises Barachandroman, primarily of interest because it is a candidate for the title of longest single-word place name in Scotland. 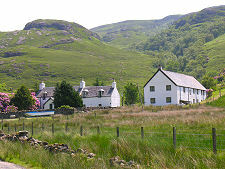 From here you drive along the south east shore of Loch Spelve on a road that contains more greenery, of greater variety, than on most roads you will find in Scotland. 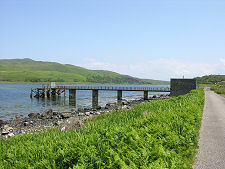 There are a couple of isolated dwellings beside the road, and a fish farm in the loch. But otherwise this is a pretty empty area until you curve around to the right, starting to follow the loch towards its exit into the Firth of Lorne. 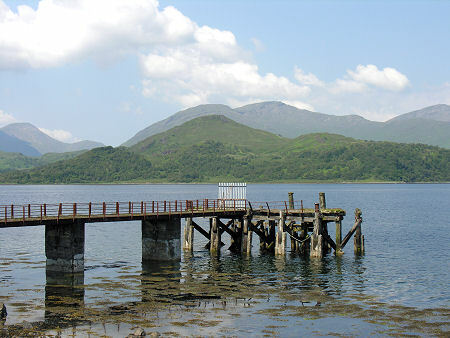 Here you find a run-down and fenced off pier with, beyond it, a scatter of houses in an arc facing towards the loch. 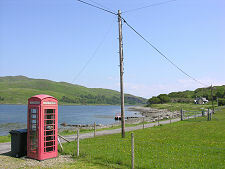 Welcome to Croggan, the end of the road: a spot for those who enjoy superb views and a striking sense of quiet isolation. 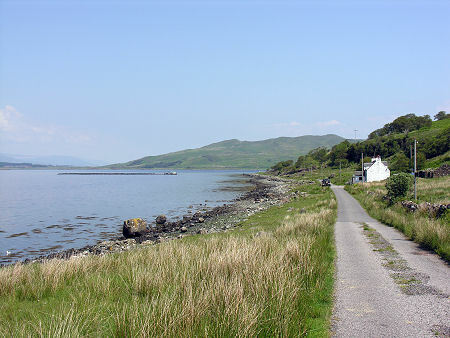 Although the road, such as it is, ends at Croggan, a track continues around the coast for the better part of two further miles to a set of ruins that appear to be an old village overlooking the inlet at Port nan Crullach. En route you pass the narrow entrance to Loch Spelve, beyond which the views open out to take in the whole of the Firth of Lorne.